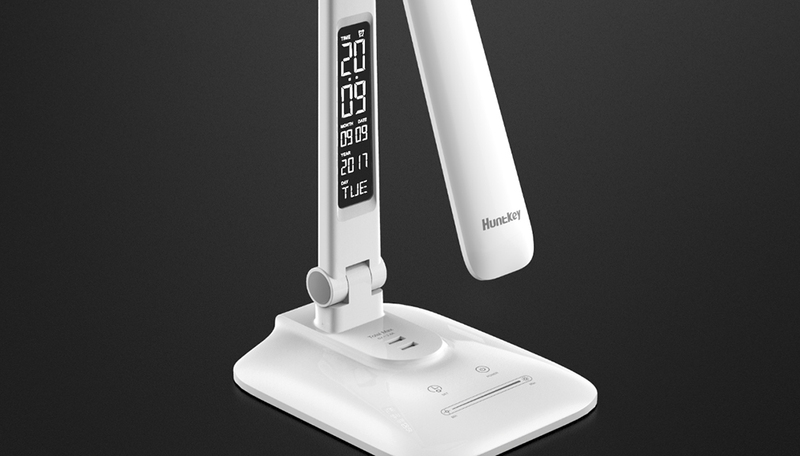 Shenzhen, China, February 8th, 2018 – Huntkey, a global smart home solution’s provider, launched its first multi-function led desk lamp on the just ended CES show. It has received a lot of praise since the show. 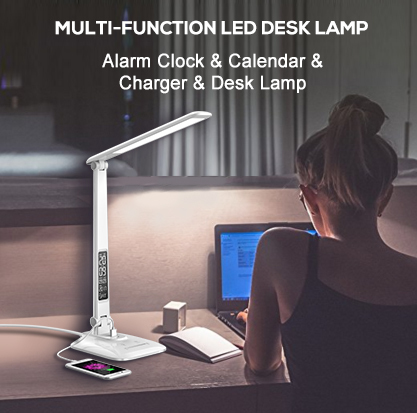 It’s not just a LED desk lamp, it’s also an alarm clock, a calendar with two USB charging ports. The LCD screen shows the date, time and day. With the LED table lamp, users do not need to find their phones everywhere when they need to know the time. It can charge two mobile devices at the same time by using the USB ports, the total output is 2.4Amps. The head of the LED table desk lamp is adjustable 180° up and down, and it is a dimmable desk lamp that can meet user’s different lighting demands.The lamp can better protect eyes by adopting diffusion translucent material, emitting soft light without ghost, glare or flicker. The elegant appearance looks like a white swan that makes the lamp a decoration. And it will be available on Amazon soon. For more information about Huntkey, please visit en.huntkey.com/.